Here's a small hoverfly - there's so many different species and my book's so small that I don't know which one exactly. The two little yellow blobs behind the fly's wings are called Halteres. They are the remnants of a second pair of wings that have disappeared as the fly evolved. 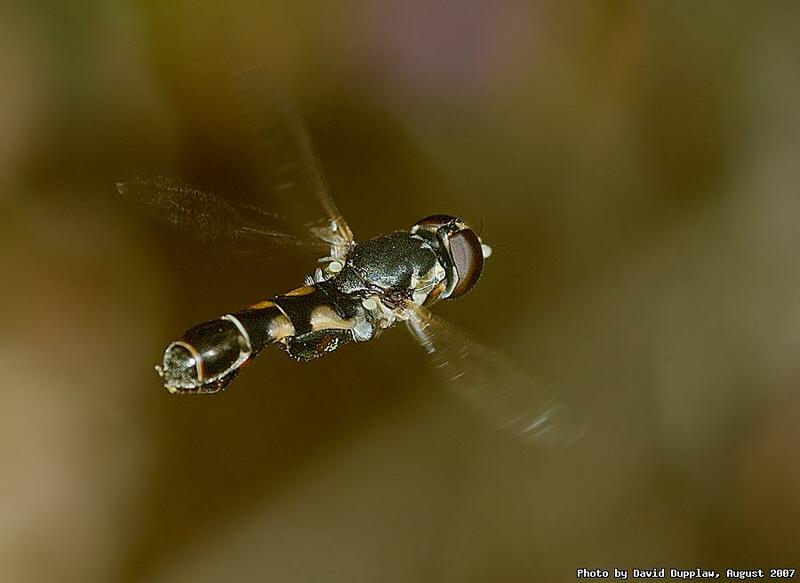 They are thought to act as little gyroscopes and help the fly with its flight.